Real quick before things get hairy... the amount of lightning in some of these storms is insane!!! Over 3200 strikes in 15 minutes in one storm alone. 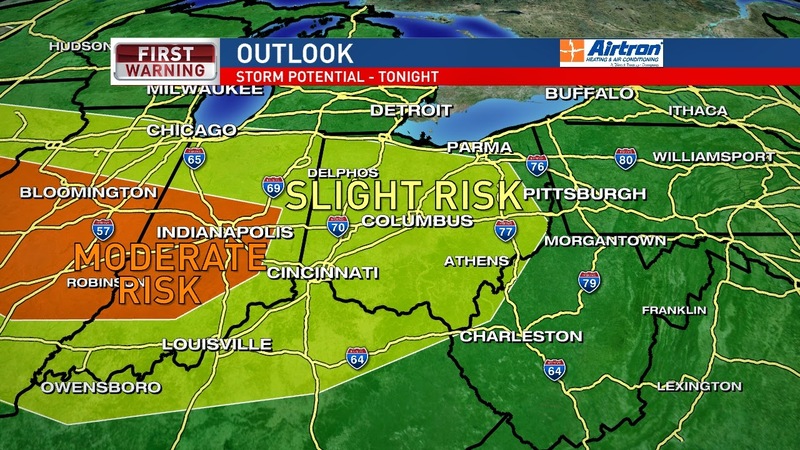 We are in the Slight Risk for severe weather for tonight in Central Ohio. Tomorrow things get ramped up again and about half of Ohio is in the Moderate Risk for severe weather. Please be weather aware! 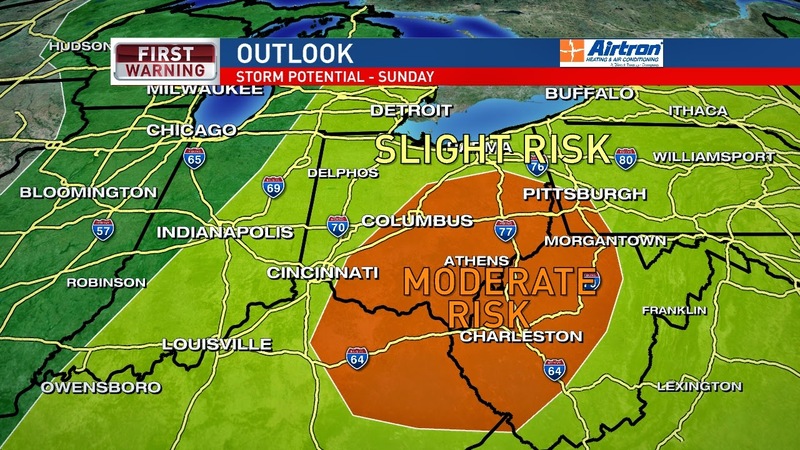 Several rounds of strong to severe storms expected overnight into Sunday. The main threat will be strong, damaging winds along with large hail followed by the chance for a tornado. Two things... Follow me on Twitter at www.Twitter.com/AndrewWSYX6 for any Central Ohio severe weather updates including watches and warnings. Also, if you are looking for a great app that will give you severe weather warnings based on your location, search "Ohio WX" in your app store. Great free app! The storms will move out later Sunday and then bring in cooler temperatures. Lingering rain showers for Monday then a cool, spotty rain pattern for much of the week. Have a good one!